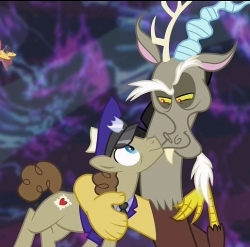 Parcel Post tells his supervisor how he escaped from Discord's dimension. 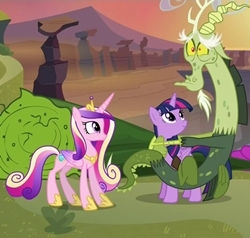 Spoilers S05E07. 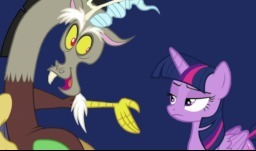 Discord wants Twilight to hit him. 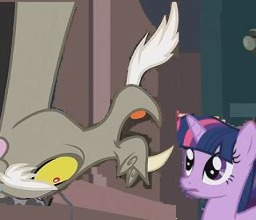 Twilight does not respond with the expected delight. 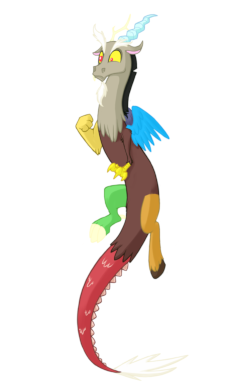 Discord is afraid that he'll fall again. 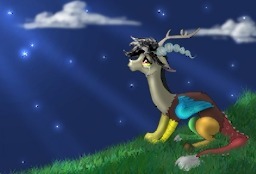 Discord tells his daughter a bedtime story. 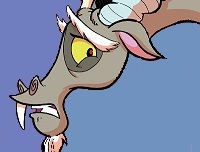 It wouldn't be Discord without dad-trolling. 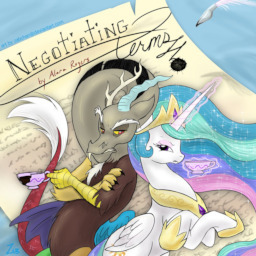 The life and times of the self-proclaimed God of Chaos. 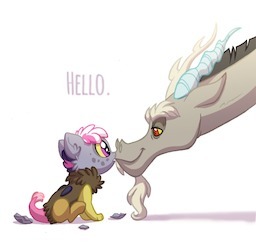 After the Gala, Fluttershy pulls Discord aside for a talk. 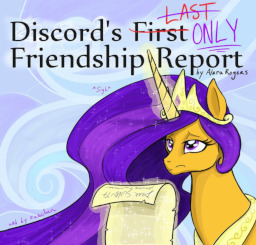 Endcap to "What About Discord?" 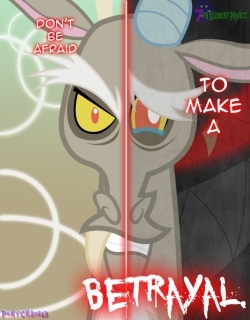 Twilight confronts Discord as to his true motives for getting her friends to exclude her. "Three's A Crowd" endcap. 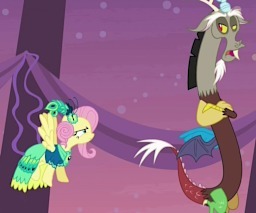 Why *did* Discord want Twilight to go to the ends of Equestria for him?